These policies and procedures were established to promote a learning community characterized by academic honesty, responsible behavior, and respect for fellow students, faculty and staff. The Student Code of Conduct includes clearly stated expectations for conduct and procedures and sanctions when those expectations are not met, and important appeal processes to ensure impartial and fair treatment. The following sections are divided between Academic Conduct (covering academic honesty and appeal of grades), and the College’s Standard of Conduct (citing other expected behaviors including substance use, housing guidelines, disruptive behavior, harassment, etc.). Students are responsible for reading and fully understanding these policies and procedures. If any expectation is unclear, students are encouraged to contact the Dean of Students or the Dean of Enrollment Management for clarification. If the student wishes to appeal the Committee of the Deans’ decision, such an appeal can be made to the Appellate Board on Student Matters. This appeal must be made in writing to the Chair of the Appellate Board on Student Matters within ten (10) business days of the “delivery receipt” date of the Committee of the Deans’ decision. The written appeal must set forth the basis for the appeal in detail. The student has the right to appear in person and present information on the student’s own behalf, call witnesses, and ask questions of anyone present at the hearing. If the student elects not to appear at the hearing, the hearing shall be conducted in the student’s absence. The student has the right to refuse to answer any question(s) or to make a statement. The Appellate Board on Student Matters will make its decision on the basis of the evidence available. All decisions, penalties or resultant actions of the Appellate Board on Student Matters are final. To a large extent, a college’s reputation depends upon the quality and the integrity of the academic work that its students produce. Maintaining high standards of academic honesty is the responsibility of both Goldey-Beacom College students and faculty. As students begin or continue their career pursuits, it is critical that they bring high ethical standards to their work. The Academic Honor Code System at Goldey-Beacom College will strive to enhance ethical awareness in each student. Collaborating on a test, quiz, or project with others without authorization. Using unauthorized materials to complete an exam or assignment. Programming of notes, formulas, or other aids into a programmable calculator or electronic dictionary without prior authorization. Using a communication device such as a cell phone, pager, PDA, or electronic translator to obtain unauthorized information during an exam. Using online resources such as websites or email while completing an online exam without the permission of the instructor. Copying computer files from another person and representing the work as the student’s own work. Taking an exam for another student or permitting someone else to take a test for the student. Using Internet services to access another’s work. Submitting substantial portions of the same academic work for credit in more than one course without consulting the second instructor (and the first instructor if the courses are concurrent at GBC). Citation of information not taken from the source indicated. This may include incorrect documentation of secondary source materials; e.g., using the bibliographic information from a source instead of going to the original source yourself. Listing sources in a bibliography not used in the academic exercise. Submission in a paper or other academic exercise of false or fictitious data, or deliberate and knowing concealment or distortion of the true nature, origin, or function of such data. Submitting as the student’s own work any academic exercises prepared totally or in part by another. Quoting another person’s words, sentences, paragraphs, or entire work without acknowledgment of the source. Utilizing another person’s ideas, opinions, or theory without acknowledgment of the source. The use of resources without documentation on a task that is to be completed without resources. Copying another student’s essay test answer. Copying, or allowing another student to copy, a computer file that contains another student’s assignment, and submitting it, in part or in its entirety, as one’s own. Working together on an assignment, sharing the computer files and programs involved, and then submitting individual copies of the assignment as one’s own individual work. Stealing, buying, or otherwise obtaining all or part of an unadministered exam. Selling or giving away all or part of an exam, including answers; e.g., telling someone in the 10 a.m. class what was on the 8 a.m. class exam. Bribing another to obtain an exam. Copying and distributing an unadministered exam. Continuing to work on an exam or project after the specified allotted time has elapsed. Changing, altering, or being an accessory to the changing or altering of a grade on a test, assignment, or project. Falsifying an excuse to obtain an extension on a deadline for a test, assignment or project. Attempting to use technology to alter grades or academic records. Violating copyright laws and/or regulations. Guidelines on the appropriate use of copyrights are available at https://www.gbc.edu/academics/academic-resources/library-technology-services/copyright.html. Satisfy oneself that there is credible evidence that a violation has occurred. Take action appropriate to the violation. Submit a Violation Report to the Chair of the Academic Honor Code Committee and the Vice President for Academic Affairs. The instructor should only submit the Report and keep the supporting evidence in their file for a minimum of two years. Notify the student concurrently in writing that a Violation Report has been filed. This will be done via email with “return receipt requested,” to the student’s GBC Email account. assigning an “F” grade for the course. All communication with the student should be in private and completely documented. The instructor must apprise the student of the appeal process available to him/her. Student appeals must be made in writing and submitted within ten (10) business days of the meeting date with the Vice President for Academic Affairs, or the date of the Vice President’s email, whichever is later. The written appeal should include a brief summary of the alleged violation of the Academic Honor Code, the faculty action taken, and the student’s reasons for appealing the action. The appeal should be submitted to the Chair of the Academic Honor Code Committee who will hold a formal administrative hearing to consider the appeal. Such hearings will occur during standard business hours during the Fall and Spring semesters. At least five (5) business days prior to the hearing, the Student shall be sent notice via the student’s GBC Email account, with a “delivery receipt”, a letter of the administrative hearing specifying the suspected violation, the time and the place of the hearing, and a copy of the procedures which will be used during the hearing. Shall be given the opportunity to present explanation of the alleged academic dishonesty. Is entitled to be present during the hearing while evidence is being presented and may remain until the deliberations have begun. If the student elects not to appear at the hearing, the hearing shall be conducted in the student’s absence. Shall have the right to produce witnesses, written documents, and other evidence to substantiate his/her case. Shall have the right to ask questions, which shall be directed to the Chair of the hearing who will pose all questions to all witnesses. Shall have the right to refuse to answer any question(s) or to make a statement. May have someone present to advise them, e.g., a faculty member, fellow student, or staff member of the College Community. Legal counsel is not permitted to be present during the hearing. Should the suspected academic dishonesty have the potential for criminal prosecution based on the activity that is the subject of the violation, an exception may be granted to allow for the presence of legal counsel. Should legal counsel be permitted, the counsel’s role is limited to legal Advisor to the student, not advocate, and the person may not ask questions of witnesses or otherwise participate in the hearing. At least five (5) business days prior to the hearing, the Instructor shall be sent notice via the Instructor’s GBC Email account with a “delivery receipt”, of the hearing specifying the suspected academic dishonesty, the time and place of the hearing, and a copy of the procedures which will be used during the hearing. Shall be given the opportunity to present his/her explanation of the suspected academic dishonesty. Is entitled to be present during the hearing while evidence is being presented and may remain until the deliberations have begun. Shall have the right to ask questions, which shall be directed to the Chair of the hearing, who will pose all questions to all witnesses. Shall base its findings upon the preponderance of evidence. Shall make all decisions by majority vote at a meeting with the appropriate quorum of members. Shall submit its findings, decision, and action to be taken within ten (10) business days following the hearing. Shall keep summary minutes of the hearing, which will be available to the student, upon request, within ten (10) business days following the hearing. At the discretion of the Chair, an audio record may be made. Deliberations need not be recorded. The student will receive notice via the GBC Email account with “delivery receipt” within ten (10) business days following the hearing informing him/her of the Committee’s decision. Copies should be sent to the faculty member, the appropriate Department Chair, and the Academic Affairs Office. The decision of the Academic Honor Code Committee may be appealed to the Appellate Board on Student Matters within ten (10) business days after the notification of the Committee’s decision. The written appeal should include a detailed summary of the alleged violation of the Academic Honor Code, the faculty action taken, and the student’s reasons for appealing the action. The appeal should be submitted to the Chair of the Appellate Board on Student Matters who will hold a formal administrative hearing to consider the appeal. Such hearings will occur during standard business hours during the Fall and Spring semesters. The student will receive written notice via the GBC Email account with “a delivery receipt” within ten (10) business days of the Appellate Board on Student Matters’s decision. The decision by the Appellate Board on Student Matters in all Academic Honor Code cases is final. Disciplinary warning: A disciplinary warning is an official written notice expressing that the student’s conduct violates one or more College rules, regulations, or policies. Loss of Scholarship - A student may have all Goldey-Beacom College scholarship revoked for engaging in behaviors that are in violation of the Student Code of Conduct, the Alcohol and Drug Policy, or the Housing Policy Handbook. Upon dismissal from the College, all College-funded scholarships are permanently revoked. Probation: Probation is a period of review during which the student must comply with all College rules, regulations, and polices. This action is a period of official censure. A probation action may specify any conditions with which the individual must comply or any privileges which may be withheld. Probation may include, but is not limited to, the loss of privilege to represent the College in an official capacity (e.g., varsity intercollegiate events, holding office, or participation in campus government or related organizations). Suspension: Suspension from the College is the termination of student status for a specified period of time. A student may not attend classes, take exams, receive grades, or be on College property. After this period of time, the student must seek written approval from the Vice President for Academic Affairs to return to the College. The hearing officer may establish additional requirements which must be fulfilled to the Vice President for Academic Affairs’ satisfaction prior to reinstatement. There will be no refunding of tuition or fees. Dismissal: Dismissal is the permanent, involuntary separation from the College due to academic violations. A student is not permitted on College property. There will be no refunding of tuition or fees. Two (2) students (with two alternates). Members and alternate members will be appointed each academic year. The Academic Honor Code Committee administrative hearings must have in attendance at least three (3) members, with one of either the faculty or staff member in attendance. If a member cannot serve, the member should notify the Honor Code Committee Chairperson immediately. All reports involving Academic Honor Code violations will be housed in the Academic Affairs Office. The files may be discarded after a ten (10) year period. This policy supersedes any previously published Academic Honor Code Policies of Goldey-Beacom College. Goldey-Beacom College is committed to providing a sound educational environment for intellectual pursuits. In order to promote and maintain a respectful and effective learning environment, Goldey-Beacom College expects students to adhere to the following Rules of Decorum while on the Goldey-Beacom College Campus. Respect for each and every student is to be demonstrated in all interactions and communications at all times. Courtesy and politeness is expected from each and every student in all settings at all times. The use of hate language or name calling will not be tolerated. Personal, extraneous conversations should take place outside the classroom setting. Students are expected to make every reasonable effort to avoid arriving late for class. If students do arrive late, they are expected to quietly enter the classroom without disturbing the faculty or their fellow students. No television sets, radios, cell phones, headsets, or noise-making beepers or pagers are permitted in operation in the classroom setting. Exceptions may be granted by individual faculty members. All posted rules in designated areas (e.g., Hirons Library & Learning Center) should be respected and followed. In addition, the College is concerned with developing socially responsible citizens, ensuring the welfare and freedom of all members of the College community, and protecting individual rights. The College has thus adopted rules and behavior standards for its students. College judicial action may be taken in addition to actions taken by civil or criminal courts. Students may be subject to judicial action in conjunction with citations or other charges of which the College becomes aware. A student who has pled guilty or been convicted of an off-campus violation of local, state, or federal law may be subject to College judicial action and may receive a sanction(s) imposed by the College. Disciplinary action may be imposed when a student fails to recognize or violates the rights and privileges of other individuals or behaves in a manner not consistent with College policies. The following forms of conduct are prohibited by any Goldey-Beacom College student or organization on College property or at College functions. Use, sale, exchange, possession, or consumption of alcoholic beverages on campus is prohibited if such use is in violation of local, state or federal law. Possession or use of any illegal or controlled substance, drug or drug paraphernalia is prohibited. Students who exhibit drug use or abuse or any violation of the College’s Alcohol and Drug Policy may be construed as a violation of this section. Demonstrating that a student has knowledge of the location of any illegal or controlled substance, drug or drug paraphernalia, and/or the intent to exercise control over such items may constitute possession. In the absence of extraordinary or mitigating circumstances, a sanction of suspension or expulsion may be imposed on any student found guilty of possession, distribution, or sale of drugs. Physical assault or attempted physical assault or abuse upon any person. In the absence of extraordinary or mitigating circumstances, a sanction of suspension or expulsion may be imposed on any student found guilty of physical assault. Conveyance of threats by any means of communication including, but not limited to: threats of physical abuse; hazing of any student, employee, officer of the College, or organization, or anyone visiting or passing through the College campus; or threats to destroy College property or the property of others. Acting recklessly or in a manner that endangers or could reasonably be expected to endanger the health, safety, or welfare of the student or any individual. Theft or attempted theft of the property or services of the College, any organization or individual, by means of taking, deceiving, misappropriating, or misusing. Destruction, vandalism, misuse, or abuse of the real or personal property of the College, any organization, or any individual. Specific violations include, but are not limited to, destroying, damaging, misusing or defacing any College building or property, or any private property on-campus or being used for a College-sponsored event; destroying damaging, misusing, reproducing, or defacing any student identification card, College-provided key, computer equipment, athletic equipment, or any material issued or owned by the College; impairing or hindering another’s use of College material, service or property; reading, duplicating, removing, photographing, forging, counterfeiting, or altering any College document or record without authorization; or littering on or in any College building or property. Use, possession, or transportation of fireworks, firearms, knives, paintball or BB guns, explosives, ammunition, weapons, or any item which has been modified or adapted so that it can be used as a weapon. If the student’s job requires the student to carry a weapon at all times (e.g. police officer) then the student must obtain prior authorization from the Dean of Students in order to carry the weapon into any campus building. Disorderly or disruptive conduct which substantially threatens, harms or interferes with personnel, students, visitors or orderly College processes and functions including, but not limited to: fighting; unreasonable noise; public intoxication; lewd or indecent conduct; and inappropriate use of athletic facilities. Commission of any act which results in or which may result in the infliction of harm to any person or damage to College property or to the property of others by willful and deliberate means or through negligence. Harassment by any means of any individual or group, including coercion and personal abuse. Harassment includes, but is not limited to, written or verbal acts or uses of technology, which have the effect of harassing or intimidating a person, which may result in personal indignity. Verbal, physical, written, or electronic acts of intimidation and/or harassment aimed towards any person or group on the basis of race, sexual orientation, gender identity, religion, disability, national origin, ethnicity, or gender is prohibited. This includes, but is not limited to, any actions which demonstrate a lack of respect for the human rights and personal dignity of any individual. Any form of sexual harassment or discrimination. Refer to the College’s Pledge to Promote a Safe Environment. Failure to comply with the legitimate oral or written directives of a duly-authorized College official acting in performance of his or her prescribed duty. Failure to provide a valid Goldey-Beacom College Lightning Card or other valid identification upon the request of a duly-authorized College official. Failure to access and read GBC email accounts regularly and in a timely manner.  Students should expect to receive College communication sent to the GBC accounts. Failure by guests to comply with College policies while visiting the campus. Students may be held responsible for the actions of their guests. Failure of the accused to appear when given advance written notice by a College official, hearing officer, or hearing board concerning a violation of the Student Code of Conduct. Failure to comply with College judicial sanction(s), including violation of the terms of a sanction, failure to complete a specified condition or assignment of a sanction, or violating the Student Code of Conduct while on Probation. Failure to comply with the College’s Hazing Policy. Failure to comply with the policies contained in the Residence Life section of this Handbook. Failure to comply with the Commercial Advertising and Sales Policy. Failure to comply with rules and regulations of any department or service area (e.g. Hirons Library & Learning Center). Failure to comply with all regulations regarding conduct on campus not cited in the Student Code of Conduct when such regulations have been reasonably publicized. Falsification of information, which includes any form of providing false or misleading information, in writing, orally, or electronically, in a manner which has the intent or effect of deceiving authorized College personnel, or of altering or falsifying official institutional records or documents. Providing false or misleading information including utterance of false testimony or submission of false written statements at any proceeding authorized by this document. Misrepresentation of oneself or of an organization as an agent of the College. Violation of campus safety regulations including, but not limited to: setting unauthorized fires; tampering with fire safety and/or firefighting equipment, such as alarms, heat sensors, smoke detectors, hoses and fire extinguishers, AED defibrillators, or rendering such equipment inoperable; turning in false fire alarms by any means of communication; failure to exit during a fire alarm/drill, or hindering or impairing the orderly evacuation of any College building; or disobeying a command by any College official in connection with a fire, alarm, or other safety or security matter. Tampering with, touching, covering, or in any way interfering with security cameras located throughout campus. Any activities that endanger the health and safety of others. Unauthorized entry, use, or occupancy of College facilities either by the student or allowing others unauthorized access. Violations of additional safety policies listed in the Residence Life section of this Handbook. Any student or student organization committing an act in violation of the Student Code of Conduct may be subject to disciplinary action. Any student or student organization who aids, requests, initiates, assists, or has knowledge of any other student, non-student, or student organization in acts which violate this document or participates in a violation of this document may be subject to disciplinary action as if the student or student organization had actually committed the violation. Any violation of the Student Code of Conduct by a student or members of a student organization may result in both the organization and the members involved in the misconduct to be subject to disciplinary action. All statements made by a student relative to a case may be used in any disciplinary hearing. Charges brought under this document may be applied concurrently with any civil or criminal prosecution brought against a student or organization. Individual students found to have violated the Student Code of Conduct may be subject to one or more of the following penalties. The student will have ten (10) business days from the date of the sanction to submit a written request for appeal should the student choose. Parents may be notified. Disciplinary warning - A disciplinary warning is an official written notice expressing that the student’s conduct violates one or more College rules, regulations, or policies. Probation - Probation is a period of review during which the student must comply with all College rules, regulations, and polices. This action is a period of official censure. A probation action may specify any conditions with which the individual must comply or any privileges which may be withheld. Probation may include, but is not limited to, the loss of privilege to represent the College in an official capacity (e.g., varsity intercollegiate events, holding office, or participation in campus government or related organizations). Violations during this period may result in further discipline. Suspension - Suspension from the College is the termination of student status for a specified period of time. A student may not attend classes, take exams, receive grades, or be on College property. After this period of time, the student must seek written approval from the Dean of Students to return to the College. The hearing officer may establish additional requirements which must be fulfilled to the Dean of Student’s satisfaction prior to reinstatement. There will be no refunding of tuition or fees. Expulsion - Expulsion is the permanent, involuntary separation from the College due to conduct violations. A student is not permitted on College property. There will be no refunding of tuition or fees. Other Sanctions - The College may impose any other sanction depending upon the circumstances and the nature of the violation, e.g. assignment of a paper, fines. 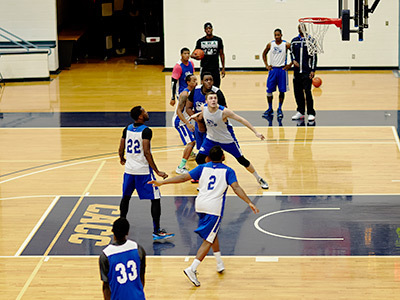 Constructive or Educational Task - The student is assigned a task which benefits the individual, campus, or community. This task can be given alone or in conjunction with another sanction. Housing Reassignment/Removal - In cases involving housing violations, the student may be involuntarily reassigned to a new location on campus. This action may include restriction from entering any College-owned housing for a designated period of time, or permanently. There is no refunding of fees in accordance with College policy. No priority will be afforded to the student when returning to College-owned housing. Hold on Records - The College may hold transcripts, diplomas, registration privileges, or other official records pending the disposition of cases and completion of sanctions if such action is reasonably necessary to preserve the College’s ability to enforce its disciplinary rules. Loss of Scholarship - A student may have his/her Goldey-Beacom College scholarship revoked for engaging in behaviors that are in violation of the Student Code of Conduct, the Alcohol and Drug Policy, or the Residence Life section of the Handbook. Upon expulsion from the College, all College-funded scholarships are permanently revoked. Restitution - Restitution may be imposed on a student whose violation has involved theft, monetary loss, or damage. Restitution as imposed by the hearing officer becomes a financial obligation to the College, and either full payment or an agreement for partial payment according to a schedule agreed to by the Dean of Students is required before the student may register for classes again, or in the case of seniors, before the student may graduate. Interim Suspension - The Dean of Students or designee may impose an interim suspension and/or loss of privileges including removal from the College Campus and/or College-owned housing upon any student whose presence on campus constitutes a threat to the health, safety, and welfare of the student, or the welfare of the College, its property or personnel. Any such suspension will take immediate effect and will remain in force throughout any appeal process. Disciplinary Warning - The organization is informed in writing that the group has been found guilty of a violation of College regulations. It is an assumption that repetition of the behavior is not likely. However, it is to be understood that further misconduct may result in additional disciplinary action. Probation - The organization is informed in writing that it is on probation for a specified period of time. This action is a period of official censure. During this time the organization may be required to complete an educational task or service project. Conditions which restrict privileges may also be imposed. If, during this time, the organization becomes involved in additional violations of College regulations, further disciplinary action will be taken. Interim Suspension - The Dean of Students or designee may impose an interim suspension and/or loss of privileges upon any student organization whose presence on campus constitutes a threat to the health, safety, and welfare of its members or others, or the welfare of the College, its property, or personnel. Any such suspension will take immediate effect and will remain in force throughout any appeal process. Suspension - The organization is informed in writing of the loss of organizational privileges and recognition as a student organization for a specific period of time. During this time, the loss of privileges includes, but is not limited to, the use of campus facilities, participation in College activities, funding and sponsorship of official activities. If, during this time, the organization is involved in additional violations of College regulations, the organization may be subject to expulsion. The organization may apply for restoration of its official recognition at the conclusion of the loss of recognition period. Expulsion - The organization is informed in writing that a permanent loss of recognition is imposed. This action is one of involuntary separation from the College. The relationship between the organization and the College is permanently terminated. The organization may not use campus facilities, participate in College activities, receive funding, sponsor activities, and pledge or recruit members. Should members violate the conditions of the sanction, they may be charged as individuals with violating the Student Code of Conduct. The full range of sanctions may be applied to any violation(s) of the Student Code of Conduct. The Dean of Students, or designee, may impose sanctions as deemed appropriate to the violation of the Student Code of Conduct. Charges of violations of the Student Code of Conduct may be lodged against any student or student organization by any employee, student, or student organization. Charges made by employees should be presented to the departmental supervisor, who will refer them to the Dean of Students. Charges made by students or student organizations should be directly presented to the Dean of Students. Imposed sanctions will be communicated to the student via email to the student’s GBC email account with a” delivery receipt”. The sanction imposed is not appropriate in light of the nature of the violation of the student code of conduct. Lack of evidence of the violation of the student code of conduct. New evidence which was not previously available and would have a significant impact on the decision to sanction the student. If a student wishes to appeal the sanction, the student must send a written appeal to the Judicial Board on Student Matters within ten (10) business days of the “delivery receipt” date. The written appeal must set forth the basis for the appeal in detail. The Judicial Board on Student Matters will notify the student within ten (10) business days of the receipt of the student’s appeal as to whether the Judicial Board on Student Matters will hear the appeal. If the Judicial Board on Student Matters decides to hear an appeal, the notice to the student shall include the time and place of the administrative hearing, and a copy of the procedures that will be used during the hearing. Such hearings will occur during standard business hours during the Fall and Spring semesters. At least five (5) business days prior to the hearing, the Student shall be sent written notice via the GBC email account and letter of the administrative hearing specifying the suspected violation, the time and the place of the hearing, and a copy of the procedures which will be used during the hearing. Shall be given the opportunity to present his/her explanation of the alleged violation. May have someone present to advise them (e.g., a faculty member, fellow student, or staff member of College Community). Legal counsel is not permitted to be present during the hearing. Should the suspected violation have the potential for criminal prosecution based on the activity that is the subject of the violation, an exception may be granted to allow for the presence of legal counsel. Should legal counsel be permitted, the counsel’s role is limited to legal Advisor to the student, not advocate, and counsel may not ask questions of witnesses or otherwise participate in the hearing. At least five (5) business days prior to the hearing, the Dean of Students or designee shall be sent written notice via the GBC email account with “delivery receipt” hearing specifying the alleged violation, the time and place of the hearing, and a copy of the procedures which will be used during the hearing. The student will receive the notice via GBC Email account with “delivery receipt” within ten (10) business days following the hearing informing the student of the Board’s decision. A copy should be sent to the Dean of Students or designee. If the student wishes to appeal the Judicial Board on Student Matters’s decision, such an appeal can be made to the Appellate Board on Student Matters. This appeal must be made in writing to the Chair of the Appellate Board on Student Matters within ten (10) business days of the “delivery receipt” date of the Judicial Board on Student Matters’s decision. The written appeal must set forth the basis for the appeal in detail. The student has the right to appear in person and present information on the student’s own behalf, call witnesses, and ask questions of anyone present at the hearing. If the student elects not to appear at the hearing, the hearing shall be conducted in the student’s absence. The student has the right to refuse to answer any question(s) or to make a statement. The Appellate Board on Student Matters will make its decision on the basis of the evidence available. All decisions, penalties or resultant actions of the Appellate Board on Student Matters are final. The administrative hearings of the Judicial Board on Student Matters and the Appellate Board on Student Matters are closed to the public and are confidential. All records from the proceedings are kept confidential. Members and alternate members will be appointed each academic year on an annual basis. The Judicial Board on Student Matters administrative hearings must have in attendance at least three (3) members, with one of either the faculty or staff member in attendance. If a member cannot serve, the member should notify the Judicial Board on Student Matters Chairperson immediately. Members will be appointed each academic year on an annual basis. The Appellate Board on Student Matters administrative hearings must have in attendance at least three (3) members, with at least one faculty member in attendance. If a member cannot serve, the member should notify the Appellate Board on Student Matters Chairperson immediately. All reports involving Standard of Conduct violations will be housed in the Student Affairs Office. The files may be discarded after a period of ten (10) years. Annually, Goldey-Beacom College informs students of the Family Educational Rights and Privacy Act of 1974, as amended. This Act grants certain rights, privileges, and protection to students concerning educational records maintained by Goldey-Beacom College. These rights transfer from the parents to the student who has reached the age of 18 or is attending any school beyond the high school level. The law requires that the institution shall protect the confidentiality of student educational records. The law also provides students with the right to inspect and review information contained in their educational records, to challenge the contents of their educational records, to have a hearing if the outcome of the challenge is satisfactory, and to submit explanatory statements for inclusion in their files if the decisions of the hearing panels are unsatisfactory. A challenge of the educational record may be submitted to the Dean of Enrollment Management. If the student is not satisfied with the decision, the student may submit a written appeal to the Appellate Judicial Board on Student Matters. A copy of the policy statement describing the College’s regulations for this act may be obtained from the Registrar’s Office. Annual notification to students of this policy is through Campus Web. In conformity with the requirements of the Family Educational Rights and Privacy Act of 1974 (The Buckley Amendment), Goldey-Beacom College will disclose directory information upon written request unless the student specifically files a written notification with the Registrar’s Office of the student’s desire to not have such information released. Directory information includes name, address, telephone listing, electronic mailing address, photograph, date and place of birth, dates of attendance, major field of study, grade level, degree, recent school attended, enrollment status, honors and awards received, participation in officially recognized activities and sports, and weight and height of members of athletic teams. Directory information does not include a student’s Social Security Number or GBC Student ID number. No information about a student, directory or otherwise, will be released over the telephone except in cases of extreme emergency. A student’s directory information is released to federal loan third-party servicers without obtaining prior written consent for the purpose of collecting debt originating from financial aid disbursed while enrolled. Additionally, other external parties, such as the College’s contracted auditors, governmental agencies, scholarship donors, and other third-party servicers may be provided access to data reported on a student’s FAFSA as well as satisfactory academic progress information. In these instances, all of this data is safeguarded, as the College maintains a comprehensive information security program. By “Accepting” a scholarship or other financial aid award on the College’s financial aid module, Net Partner, the student gives Goldey-Beacom College permission to routinely share this information with external parties on an “as needed” basis. “Declining” an award on Net Partner will be considered opting out of this information release. The College may use information from a student’s educational record to determine eligibility for future awards and honors given by GBC or community organizations. 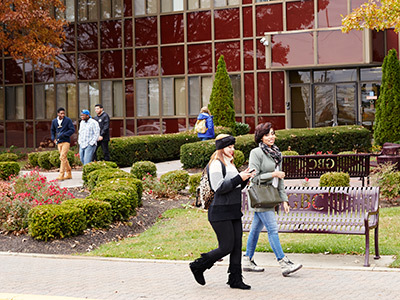 A student who does not want to be considered for an award or honor can opt out by notifying the College’s Registrar’s Office at registrar@gbc.edu. Parents and guardians are urged to encourage ongoing open communication with their student about academic progress, campus life, financial aid information, or business office account activity. The College initiates contact with parents or guardians only in the unlikely event there is a threat to the student’s safety or wellbeing, but welcomes any opportunity to address parents’ or guardians’ inquiries about their student’s progress at the College. The College can respond to these requests for information only if the student completes an Information Release Form found on the “Academics” tab of Campus Web. The Information Release Form gives a student the ability to allow a parent, guardian, or third-party access to view specific student information. After the form is submitted, access will be granted to the designated individual for the specific areas selected by the student. The designated individual will only be able to view information online or discuss the indicated areas with the appropriate College Administrators. A graduate student can give another person access to his/her information by completing an Information Release Form found on the “Academic” tab of Campus Web. The Information Release Form gives a student the ability to allow a parent, guardian, or third-party access to the specific student information requested. After the form is submitted, access will be granted to the designated individual for the specific areas selected by the student. The designated individual will only be able to view information online or discuss the indicated areas with the appropriate College Administrators.